Today began something I could have never anticipated. 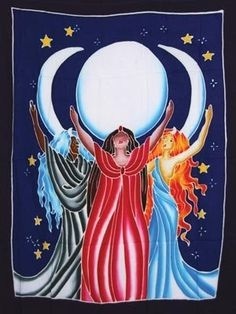 The maiden, the mother and the crone are all embarking on a one week journey of mindful-based meditation. Together! This is a journey I have been experimenting with for over a year – but seeking all my life. For my daughter, the maiden, she has dabbled in it through various therapies and groups she has taken and because her mother believes in it. But my mother, the crone, has never done anything like this. I am over joyed and so grateful we are going to try this for one week and see how we feel. The maiden and I will sit for 5 minutes in the morning and we three (mother, maiden and crone) will sit for 5 minutes in the evening. How did this come about – this amazing experience we are all about to share? Well, as I mentioned I have been on this journey for a long time. I have never been hyperactive, but I have always felt like I am searching and can never seem to soothe my soul. I have tried unhealthy ways – which worked temporarily – or so I thought – but this soon passed. I was brought up for the first eight years of my life in a dysfunctional home which I am sure contributed to some of my ways. I have always been shy but also quick to get upset, anxious, angry or do something impulsive. I always searched for love outside of myself. But I knew when I adopted the maiden I needed to calm down, to find my centre and to be silently strong. I knew I did not want to raise her the way I had been raised. I was envious of a respite worker I had for the maiden. She seemed calm, relaxed, confident and centred. All the things I did not feel. You know these people because as soon as you are in their presence you can feel this calmness. She practiced and taught yoga. But I wasn’t ready for yoga. I found a mindfulness based program last winter so signed up. However found it difficult to maintain 45 minutes of practise every day – and I just felt very pressured – and mindfulness is not about pressure. So I stopped going. 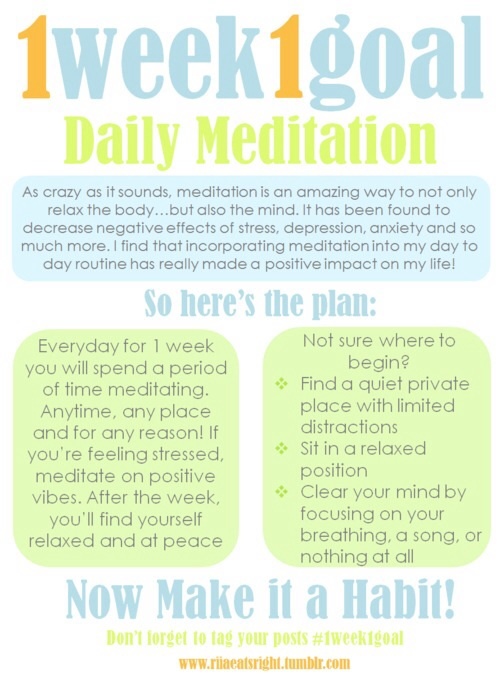 I found a meditation group at a local YMCA – was excited for another opportunity. However soon discovered there are different types of meditation, and this one was based on achieving some higher form of being during the sit. Not my thing. I wasn’t ready to give up though, and so took out some books from the library and started just sitting by myself – anytime I had a moment alone. I have not adopted a formal practice yet, but that may begin, now that the three of us will try this together. They may or may not want to continue – but at least I think they will respect my desire to devote private time to meditation. I believe we will all benefit – but each person must decide for themselves if they want to commit to it and what type of meditation practice to undertake. I prefer the mindfulness-based program developed by John Kabat-Zinn. Not only will it be good for my soul, it will be good for my life. An article in Psychology Today by Melanie Greenberg! Ph.D, called Changing Your Brain By Changing Your Mind referenced several studies undertaken in the last 10 years which revealed a variety of encouraging results. 1. Change the pattern of electrical activity in your brain. 2. Improve immune functioning in your body. 3. Change the way you feel/experience pain. 4. Help you experience more positive emotions. I was excited to read that studies have also shown improvements in people who participated in a shorter session with only two 25 minute practices at home inbetween each session. Just as I felt the 8 weeks with 45 minutes per night was a bit daunting as a beginner, so have others. Although mindfulness is a life long journey, not a short course never to be repeated, more people may be inclined to try with lowered expectations. And while there are definite practical benefits as studies are showing, I am seeking my centre because it is where I need to be and bring things to the world from. I have spent almost 50 years thinking some THING will bring me peace, when really, only I can bring that to myself. I am not sure of what the outcome of this week will be – but I have no expectation for it. It will happen as it unfolds, when it unfolds and the experience for each of us will be personal. I am grateful that I am still loved this way.